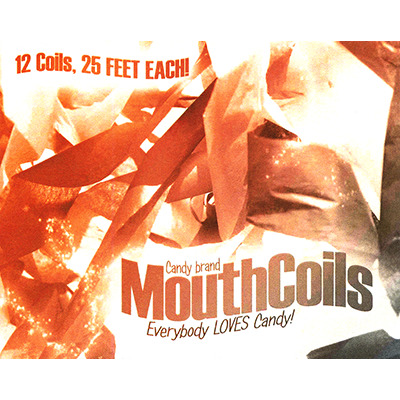 Candy brand Mouth Coils are the best selling streamers on the market today. These vibrant coils are machined and packaged in the United States under strict hygienic conditions. Candy means clean! Coils are twenty-five feet long! Easy to conceal, ditch, and load! Twelve Mouth Coils per pack! An endless stream of magical colors appear at your fingertips. Start the coil from your mouth, a card box, pocket, or an "empty" hand. Candy brand Mouth Coils illuminate your magic every time! Do they taste like candy? No, but they look like magic! Candy brand Mouth Coils add flavor to any act. Hundreds of ways to entertain thousands of people. Excellent show souvenir. Magic is sweeter with candy!